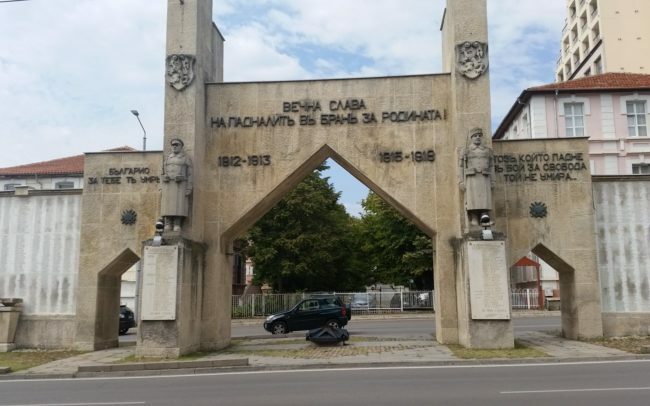 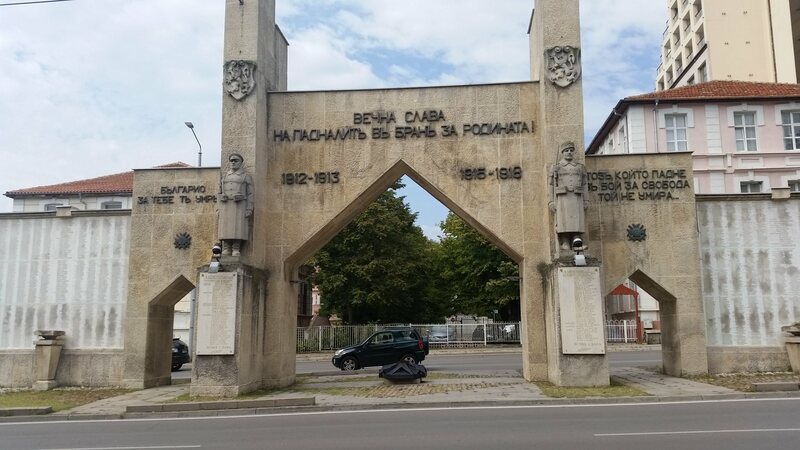 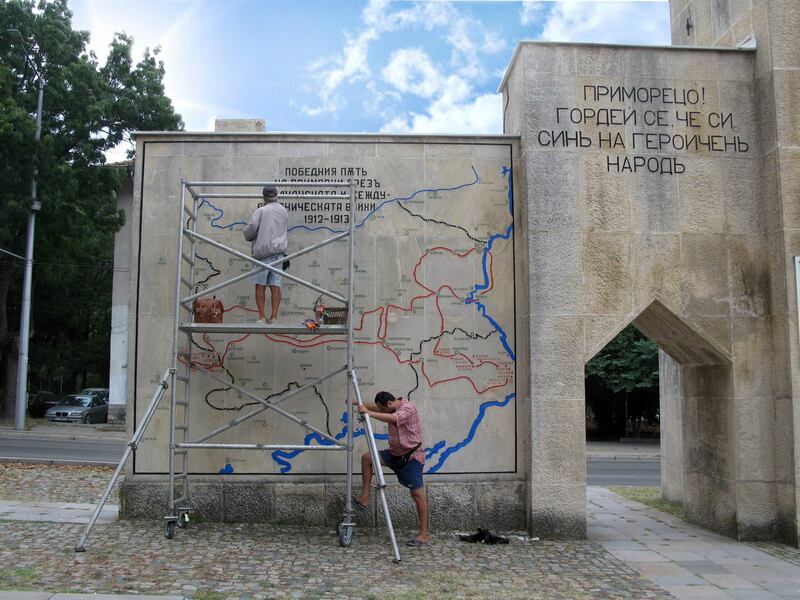 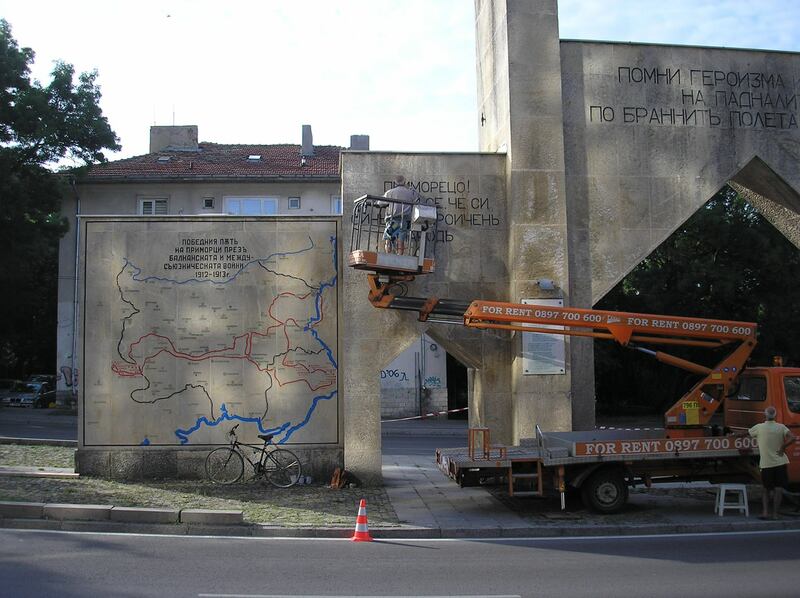 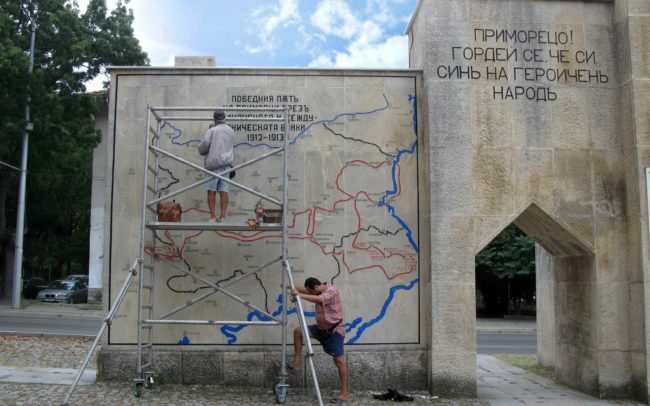 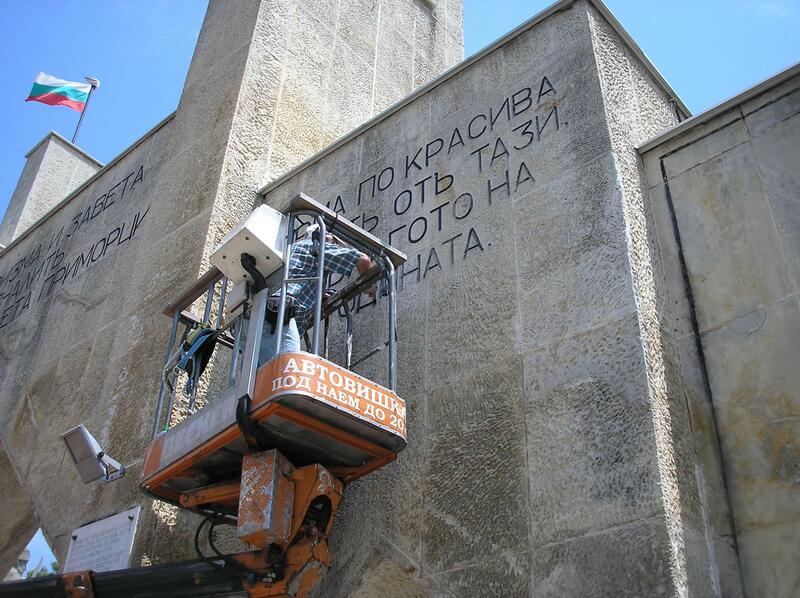 On the Eve of the National Holiday September 22 – Announcement of the Independence of Bulgaria in 1908 in Tarnovo, Varna Economic Development Agency completed the renovation of the Monument – Portal of the Eight Infantry Sea Regiment in Varna as part of the investment activities under the NETWORLD project. 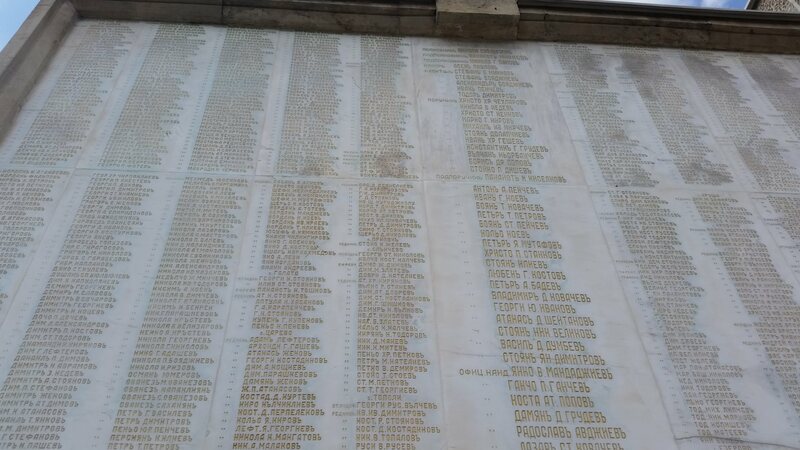 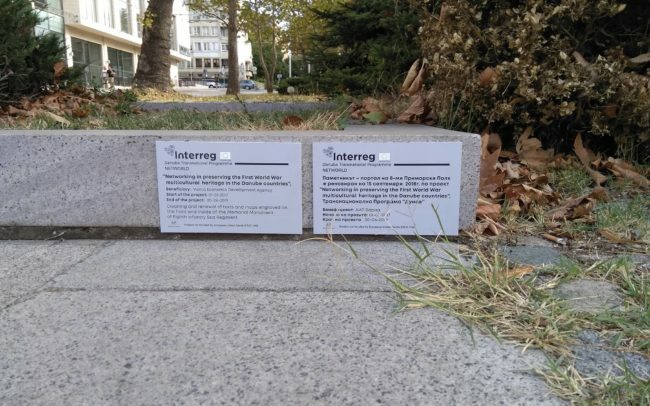 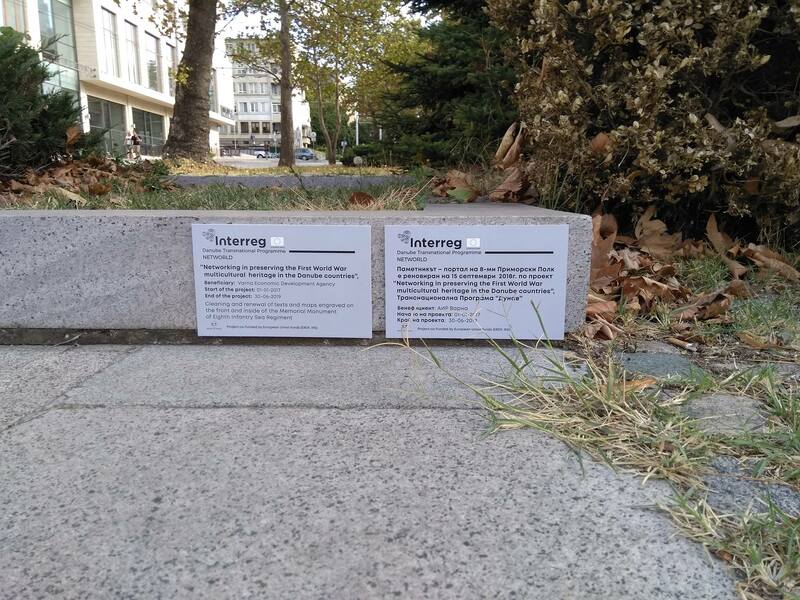 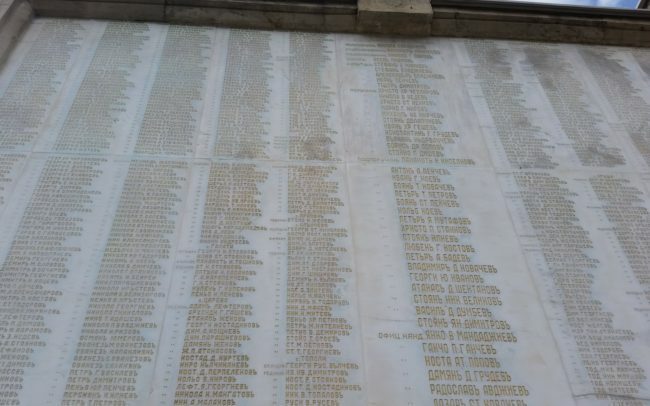 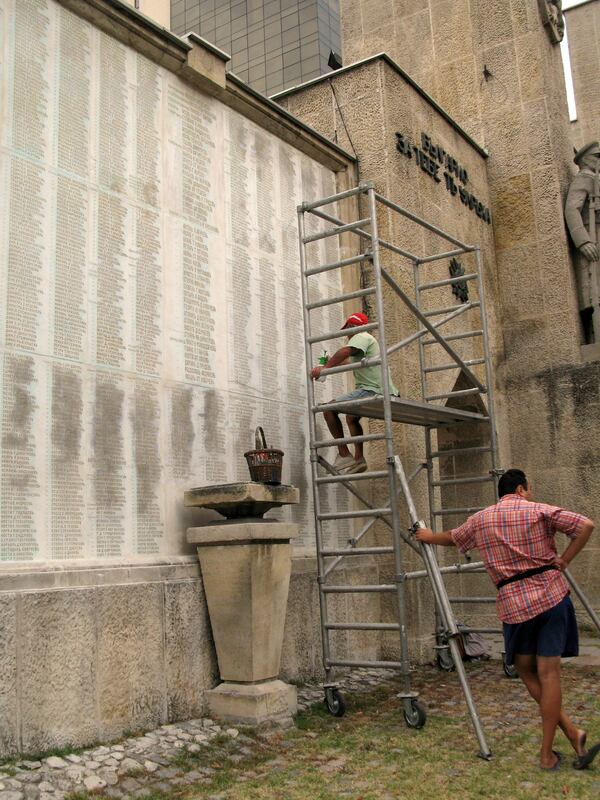 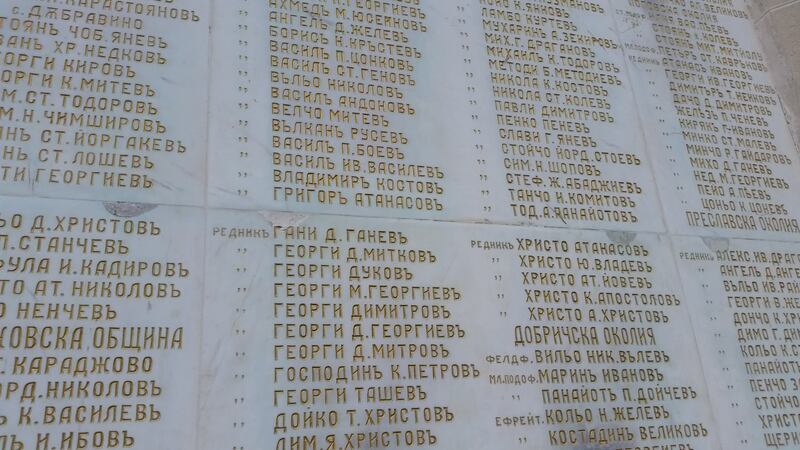 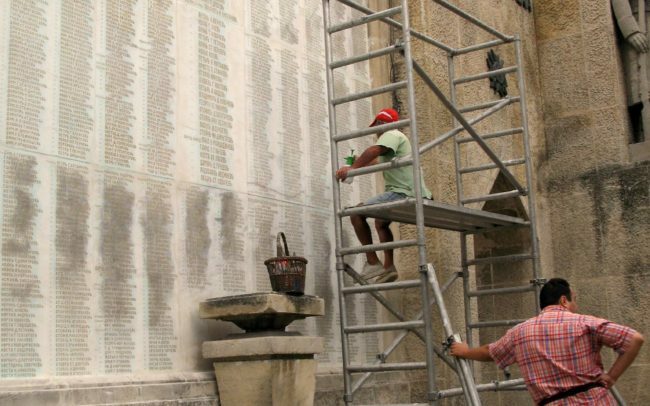 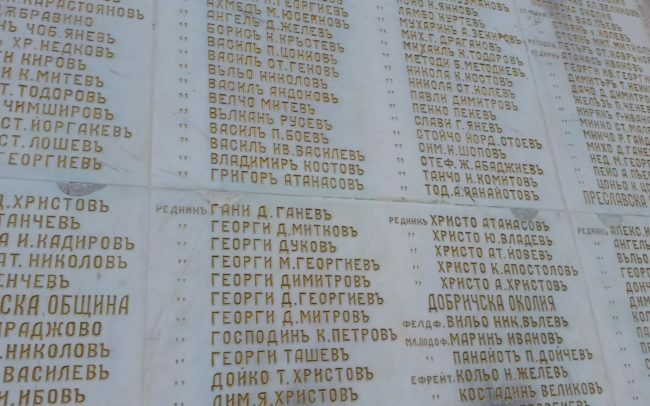 With the support of the Interreg Danube Transnational Program, the slabs of the monument with 3,000 names of perished in the national liberation wars engraved on the north and south wing of the Monument, the inscriptions on the two extra slabs with the names of perished officers and soldiers, as well and the lyrics of the poems engraved on the inside of the Monument, were cleaned and restored with a suitable and durable golden-colored paint during the NETWORLD project implementation. 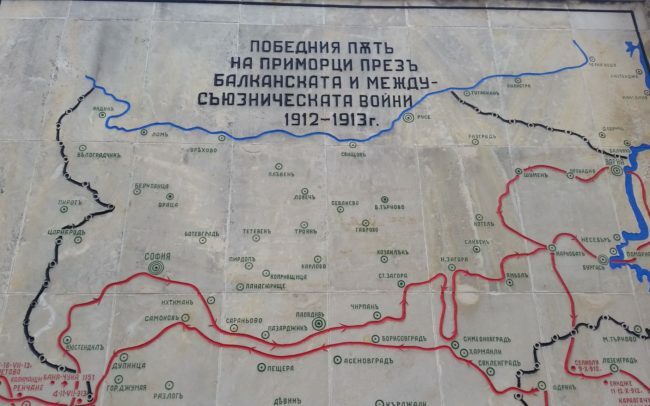 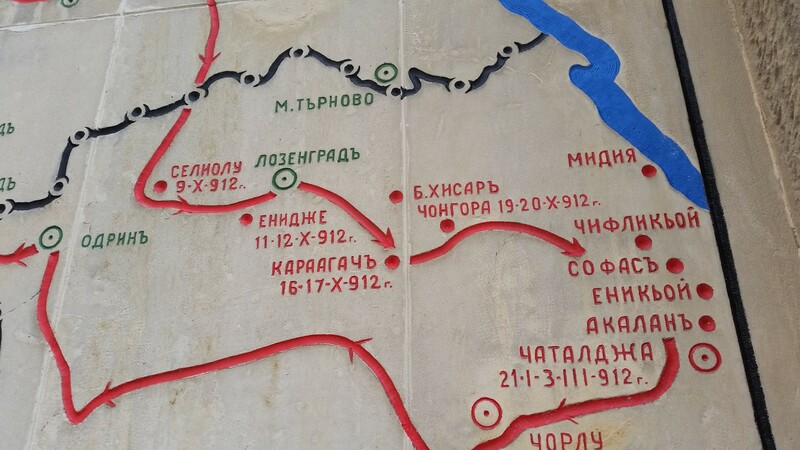 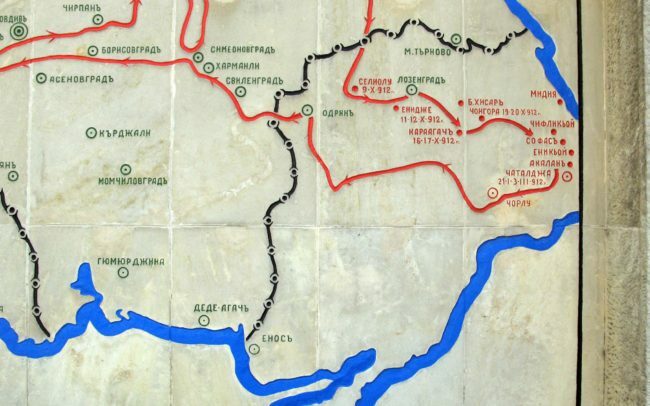 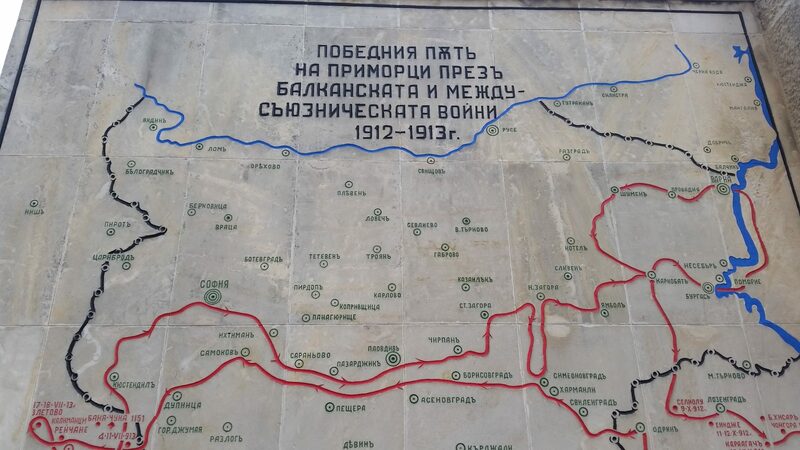 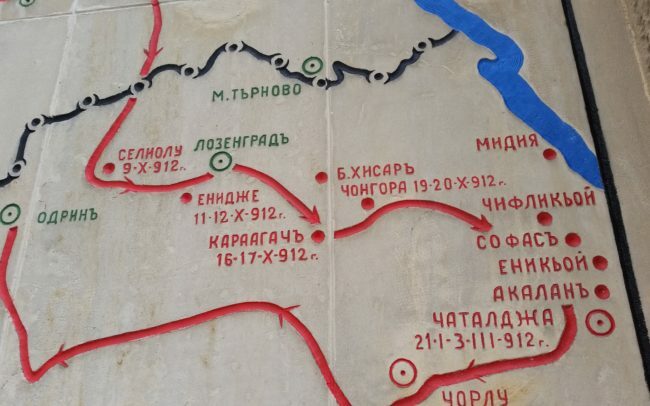 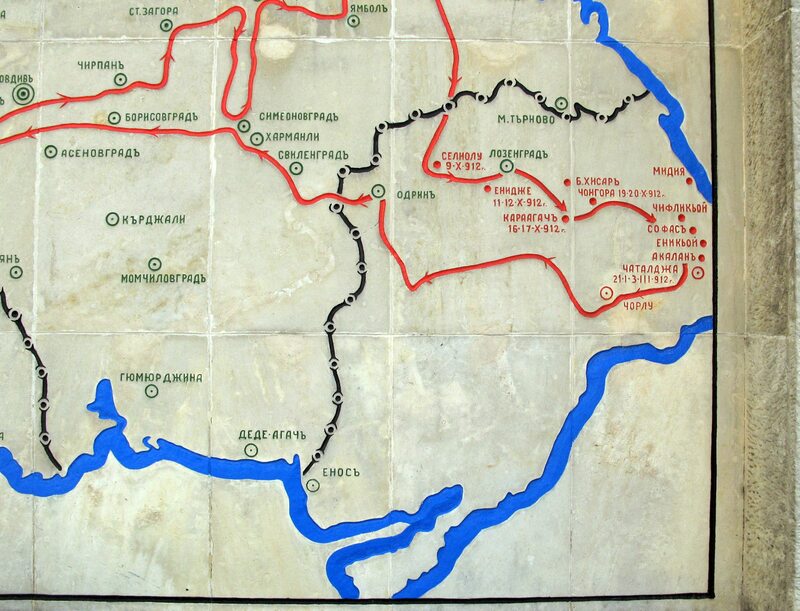 The map and routes of the Regiment were restored with durable paints (blue, black and red) designed for painting on a stone.